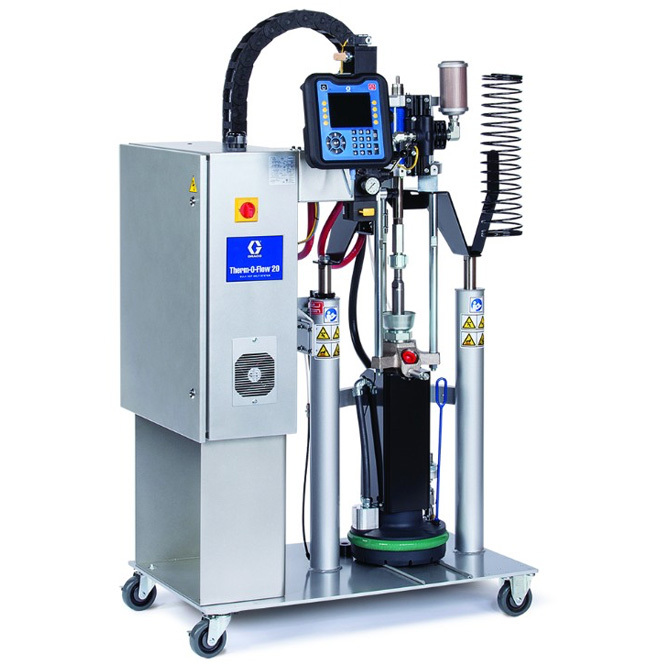 The Therm-O-Flow 20 is an industrial hot melt system that is perfect for applications in low and high flow settings. It offers improved production throughput, better process monitoring and reliable, efficient operation. Capable of melt rates up to 1.3 lb/min. Resources Therm-O-Flow 20 Brochure Graco Therm-O-Flow 200","TOF 200",","